Continuing on with our theme of “Things We Love”, here are a few of our favorite movies. We love these movies just as much for their stunning visuals, as for the stories they tell. Directed by fashion designer Tom Ford, A Single Man, is the visually arresting story set in the 1960’s, of a man (Colin Firth) struggling with the death of his longtime partner. Unable to cope with his loss, we watch as he ponders taking his own life. The interiors of A Single Man act as a supporting role, as we go from George’s spectacular mid-century modern glass dwelling, to his best friend Charley’s (Julianne Moore) glamorous, Hollywood Regency home. Auntie Mame is the story of a young boy named Patrick who becomes an orphan and is sent to live with his eccentric Auntie Mame in Manhattan. Filmed in 1958, Mame (Rosalind Russell) is a flamboyant character, who hosts frequent parties with eclectic, bohemian guests. One of our favorite lines from the movie is Mame’s motto, “Life is a banquet, and most poor suckers are starving to death!” Mame’s apartment undergoes 6 drastic remodels during the course of the film, implementing some of the times most cutting edge design sensibilities. North by Northwest is a 1959 American thriller directed by Alfred Hitchcock, and starring Carey Grant. North by Northwest is a tale of mistaken identity, with an innocent man pursued across the United States by agents of a mysterious organization who want to stop his interference in their plans. Hitchcock asked the set designers to make the set resemble a house by Frank Lloyd Wright, the most popular architect in America at the time, using the materials, form and interiors associated with him. 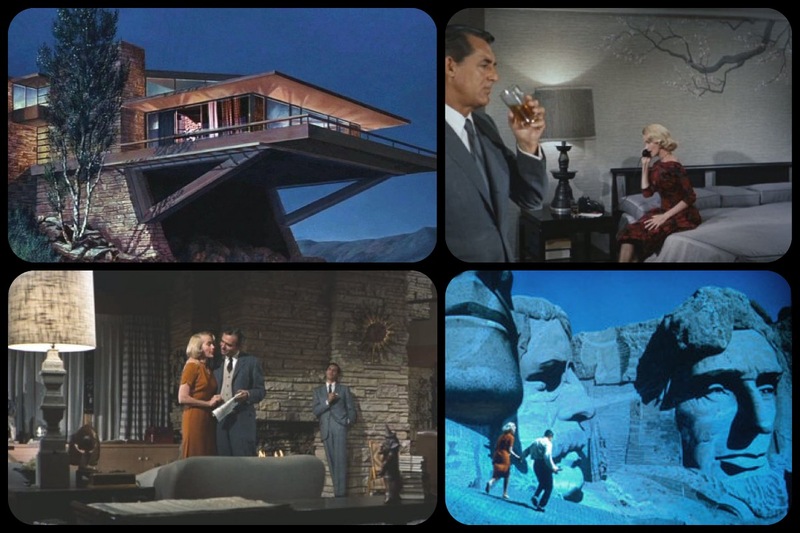 Exterior shots of the house were actually matte paintings. Down with Love, (2003) is a story about Barbara Novak, (Renee Zellweger) an aspiring author who pens a book about freeing women from love, instead replacing it with things such as chocolate. It is most celebrated for its style and cotton-candy depiction of a pre-sexual revolution era. 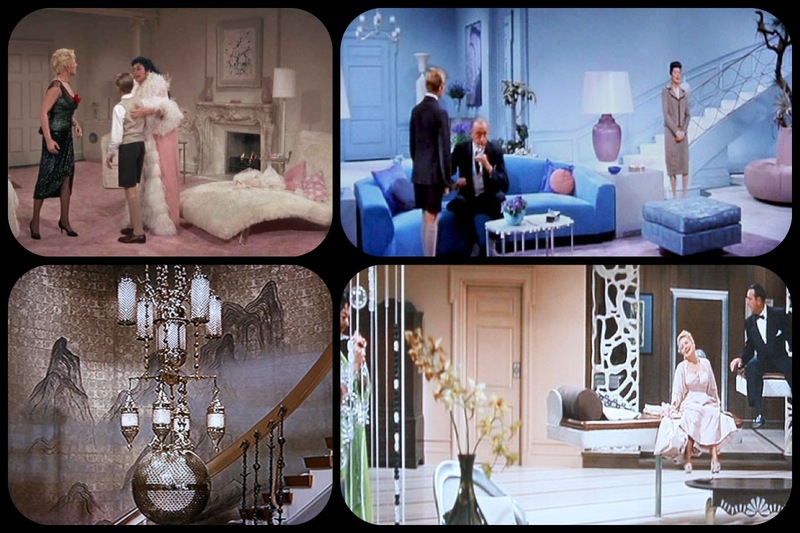 Its set designs were made to be deliberately fake and not like early sixties New York but, rather, a Hollywood version of early sixties New York. Color and scale are exaggerated with the intent of making design a larger-than-life character in the film.